Mike and I have been visiting wineries since a trip to Southern California early in our marriage. We were on our way from Palm Springs to San Diego, enjoying the desert and mountainous drive along I-15, when I needed a pit stop. We were both hungry, so figured we’d stop to eat as well. 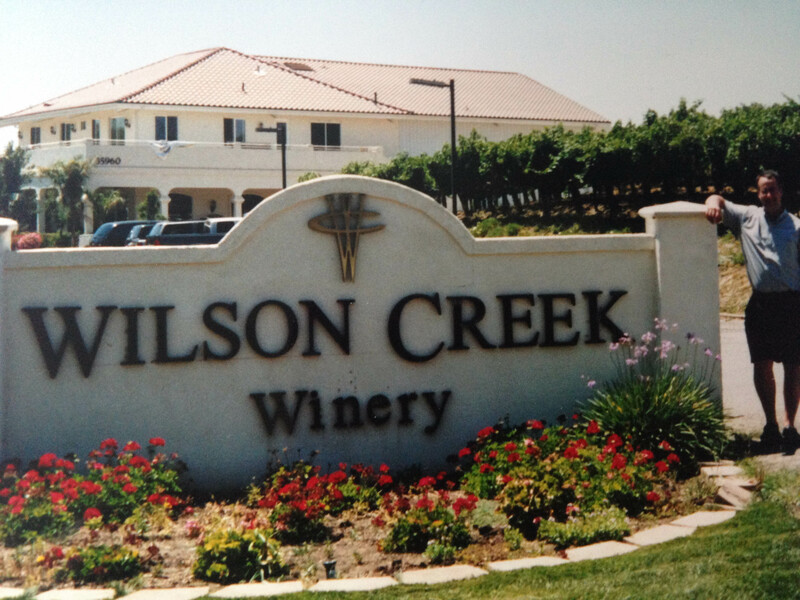 We ended up getting off the highway near Temecula, California and stumbled upon Wilson Creek Winery. We’d apparently just missed the vineyard tour and Gerry Wilson, the proprietor, felt bad. We had no idea that there even was such a thing as vineyard tours, but he showed us around anyway. We listened, at first to be polite, but before long, we were having a fascinating conversation about wineries and life. We spent quite a bit of time with Gerry that afternoon and from then on, touring and tasting at wineries on vacation has become what we do. We don’t consider ourselves to be oenophiles. We’re still learning how to identify the nuances of wine and couldn’t tell an aroma of currants from an aroma of blackberries, but we’re getting closer. Most importantly though, we know what we like and we’ve developed a palate for wines from a wide variety of regions – not just California. In fact, we’ve stopped at wineries in 21 different states as well as Canada. The wine industry has exploded and has made for some fun pit stops on our many road trips throughout North America. And yes, this includes trips with and without Mr. N and Miss A. While the kids at times roll their eyes and say the proverbial, “Aw, do we have to?” Mike and I just remind them that it could be a lot worse. “Back in our day…” Truthfully, for as much as the kids might initially complain about stopping to do something we like to do (it is a right of passage after all), they generally have as much fun, sometimes more, than we do. We’ve actually had some of our most memorable and relaxed meal time conversations and family games while at wineries. Visiting wineries has since solidified a place in our travels. You can bet if we’re on the road, we’ll be stopping at random wineries along the way, traveling to specific wine regions or roaming through vineyards. 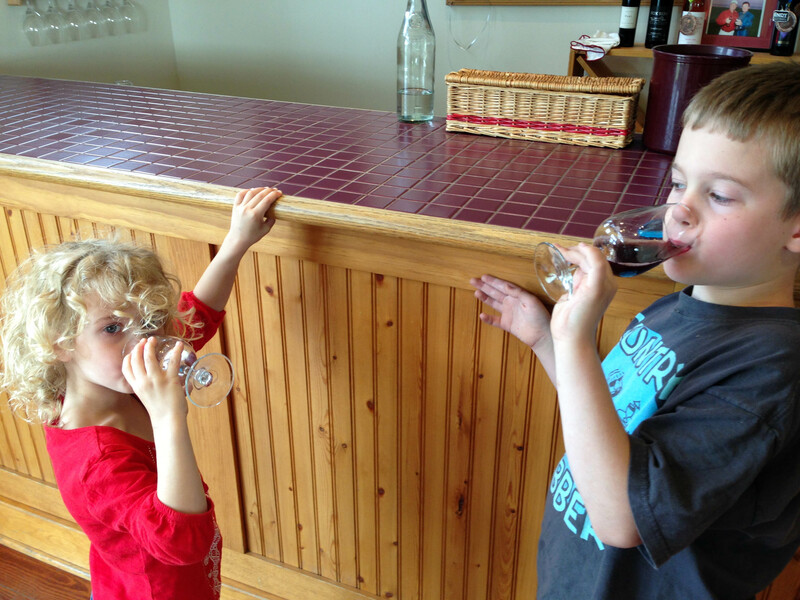 Below you’ll find a few of our favorite posts about family friendly wining, wineries and wine regions. And for more posts on wine travels, wineries, wine related recipes or an occasional wine review, search the categories “Wineries” or “Wine,” or follow us on Pinterest, Twitter, or Instagram.